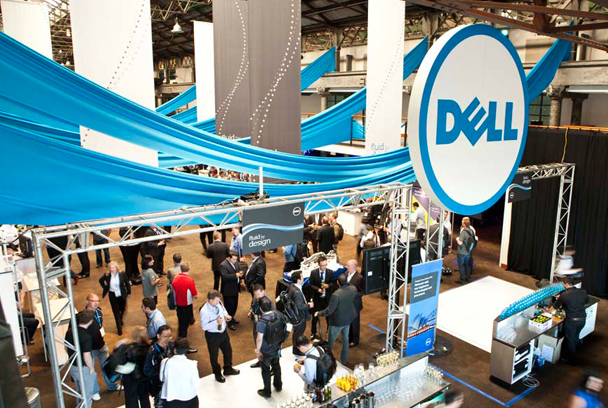 “Fluid by design” was a multi-platform conference and trade exhibition for Dell held at the Australian Technology Park in Sydney. 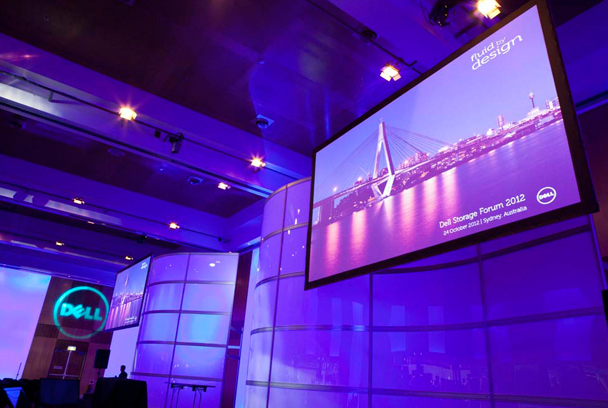 BE-design partnered with Forum Group Events to design a dynamic event for over 400 trade delegates. 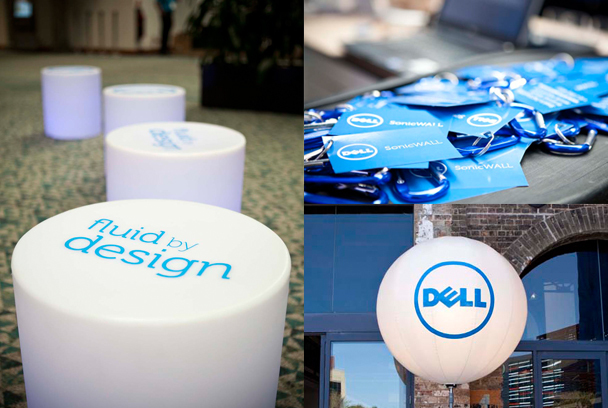 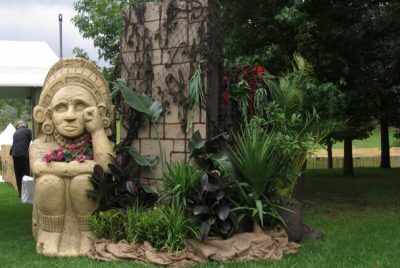 Be-design provided Concept Development, Design Visualisation and Event Styling for the event including onsite design co-ordination. The event was a forum held at the Australian Technology Park for IT storage consultants to meet and collaborate about innovations within the industry. 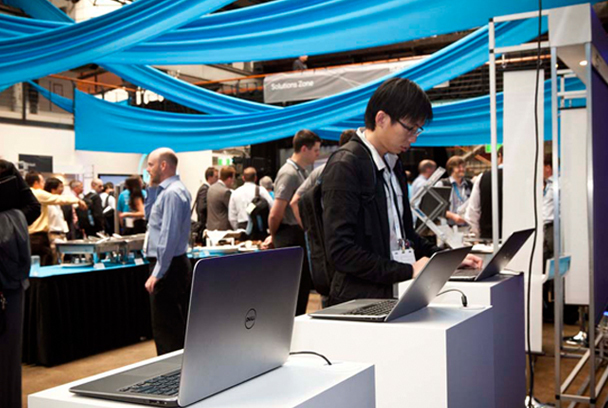 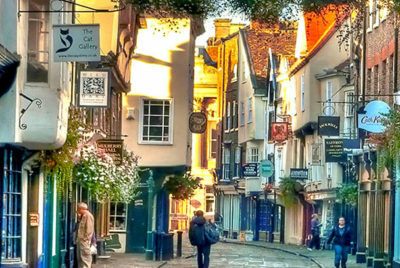 The design focused on the fluidity of ideas and resources to improve the connectivity of technology and providers. 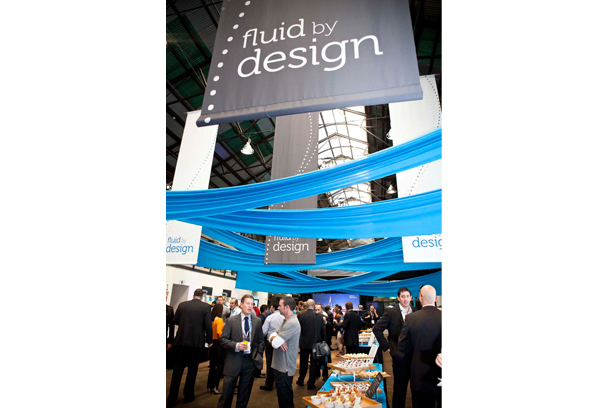 Key features of the design were large fabric drops and banners that were designed to connected the individual exhibition spaces along with providing strong brand presence. 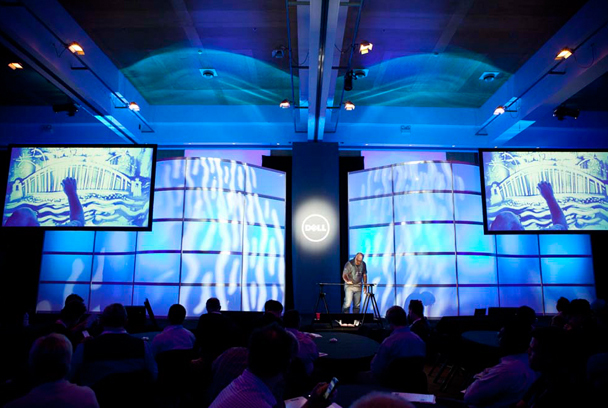 A large, curved, semi-translucent stage set provided a space for keynote speakers and performers to engage participants.